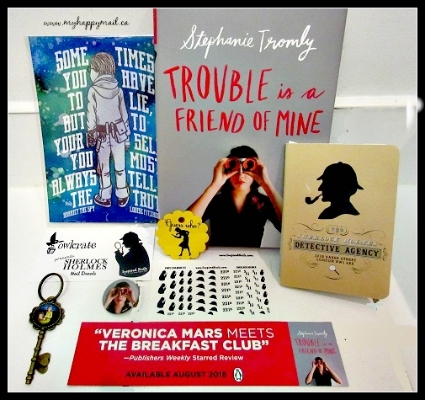 This months OwlCrate was mystery themed and was packed full of mystery themed bookish items and a great book. 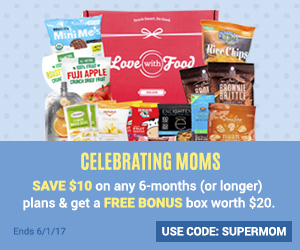 If you don’t already know OwlCrate is a YA book subscription service that sends you magical monthly boxes tailored to a chosen theme. Each OwlCrate will contain one new Young Adult novel, as well as 3-5 other bookish treats to help you get your nerd on. Sherlock, Veronica Mars and Ferris Bueller’s Day! That’s high praise in my opinion so I’m excited to read this book. The book was accompanied by a bookmark and a pin. Click HERE to see the book on amazon. On a side note I just found out that there are Veronica Mars books that pick up where the movie left off that I must check out. You can click HERE to see the first one. 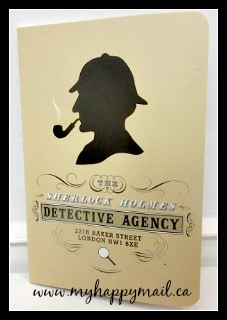 This notebook is a real detective notebook! Inside the pages have labels like Clues and Suspects and Notes. 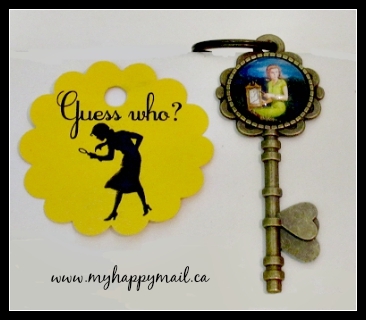 I love the style of this keychain, and of course there had to be a reference to Nancy Drew in the Mystery themed box! 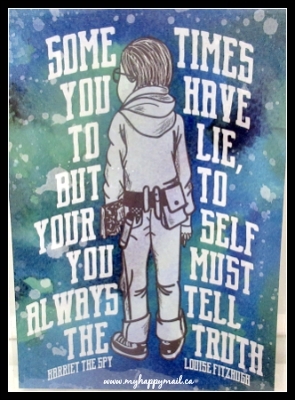 I like the colours on this Harriet the Spy print and the quote too. 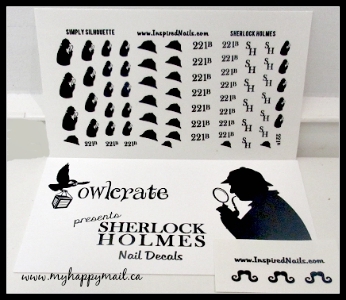 This pack of nail decals comes with 70 decals in a very appropriate Sherlock Holmes theme. The OwlCrate box themes are always excellently curated. Next Month’s theme is Leading Ladies and I think it should be a good one. 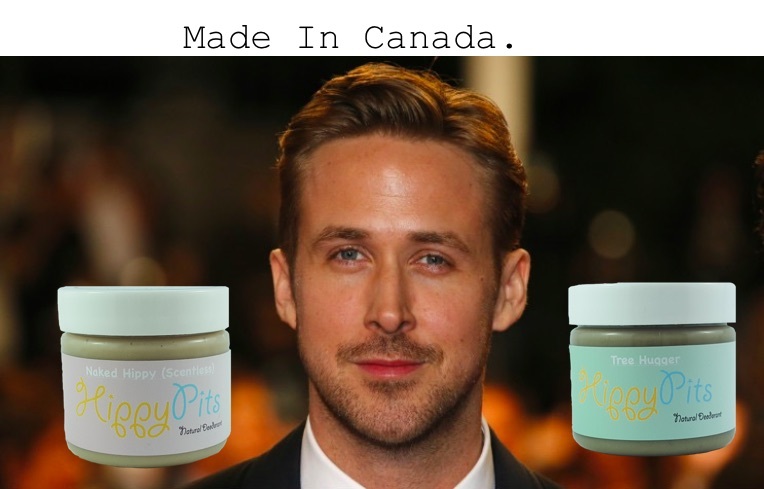 You can click HERE to visit the Owlcrate website. 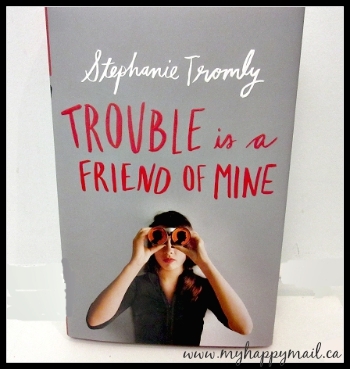 I totally heart the colours on Harriet the Spy print and quote. Oooh great theme!! I love a good mystery!! Super cute nail decals!